Fish tail chiffon long dress. 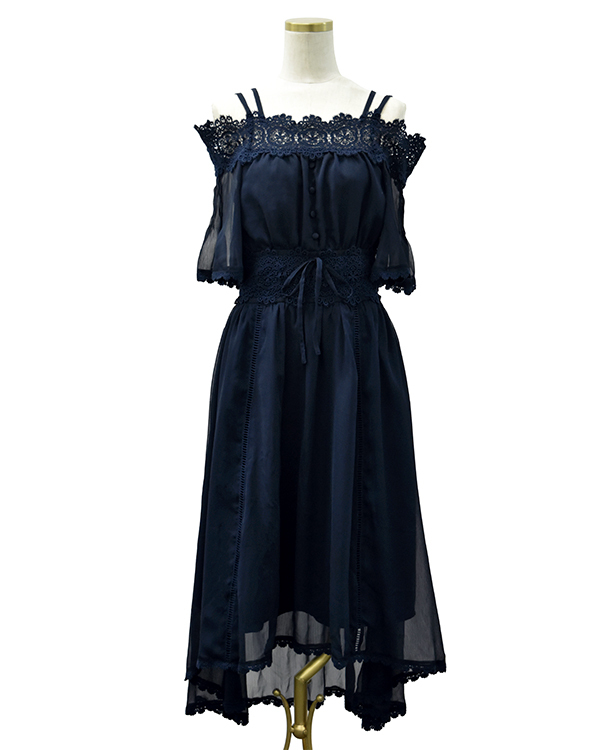 The feminine neckline and waist lace is very cute. Such a cute summer dress.